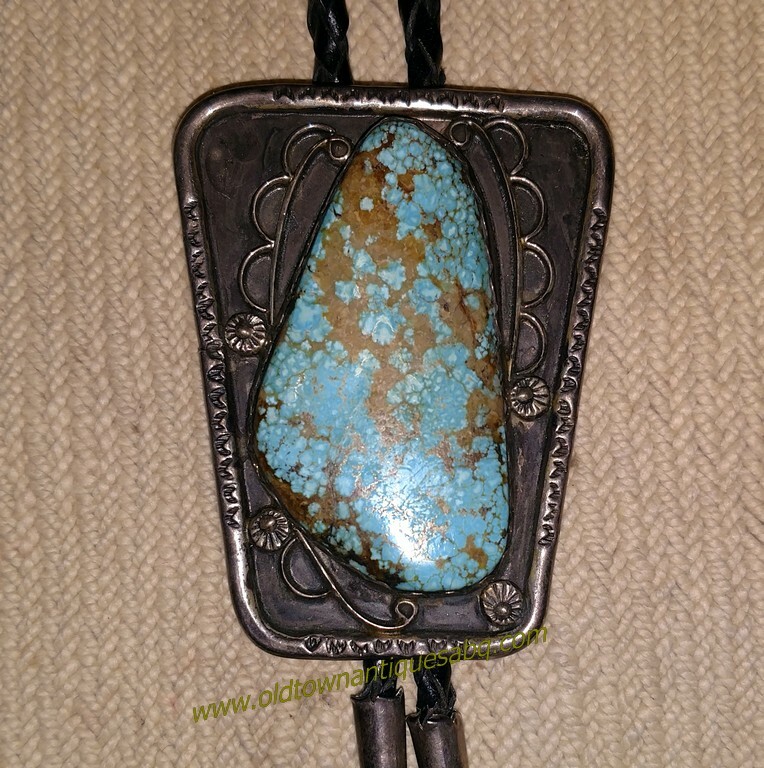 A classic bolo tie with excellent spiderweb turquoise. 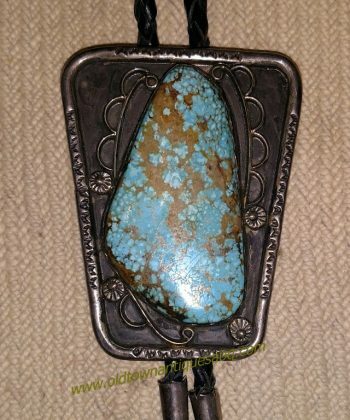 A silversmith friend said this is Crescent Valley but it could also be Number 8. Signed “B M” in separate letters, this could have been made by several different smiths. Circa 1960s, nicely made with a hand cut bezel around the main stone and fine toothed bezels on the matching tips. The bolo platform measures 2 3/4″ tall x 2 1/8.” cut crystal jar or dresser box with an enameled silver collar and lid.